Git is a popular, free and open source software tool that is used for version control. Once the code is pushed and committed, all the data/code is available for the future purpose. You can revert the changes at any point in time. For example: Consider you are in process of developing an online shopping website and after adding a new feature to the website, likewise you have pushed the updates/new features to the website for 10 times(one at a time). After the 10th feature is live because of some bug, the website is not working as expected. Until the bug is fixed, you need to revert the changes that you made to the website to make website stable. Not only version control, it will also help in working collaboratively. For example: if your company has multiple teams/groups working around the world. Each team is responsible for developing unique product feature and these features are inter-related then the Git software comes handy and helps to work collaboratively. After one team commits the changes and another team will proceed with next steps. Every developer should have knowledge about Git to improve technical skills and to understand the workflow of the developing process. There are many resources to learn about the Git Online and below are Top 10 Best Git video tutorials to master in Git. Derek Banas is very popular for his way of teaching style and keeping the concepts clear and concise and straight to the point. 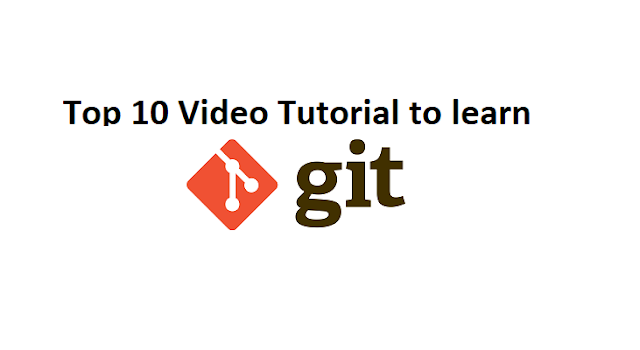 There are 4 video tutorials which help to learn and understand what Git and how it is used in the web development. This video tutorial is helpful for the beginners and intermediate as well. If you are looking for a video tutorial that teaches you about the Git via Graphical User Interface instead of using the command line. This video tutorial gives you a good overview of Gitkraken and getting started with Gitkraken. In this tutorial, you will get familiar with Git Github and Gitkraken. The instructor shows you how to work version control and how to revert to the older version. The instructor explains the concepts clearly and concisely so it was easy to follow along. This tutorial is a great place to learn about Github. the instructor explains the complex scenarios with easy examples. The instructor focuses a lot more emphasis to help us understand how to do merges and resolve merge conflicts because it is the main challenge in source control management tools, especially when you're working in the large collaborative groups. This tutorial is best suitable for the beginners and intermediate proficiency levels. This tutorial helps to transit from Beginner to expert level. This tutorial helps to understand why should you use Git and Github for the development and how to use it for the website The instructor starts with explaining why use Git? how to install Git?How Git works? how to create a repository? how to make commits? how to merge? what is Github? how to work collaboratively using Github? finally, how to fork a project? You will find the answers to the above questions. This tutorial gives you quick introduction to the Git and the instructor takes you through the in-depth look at Git. In the process of learning step by step, you will learn Git commands, tips and tricks, walkthroughs, and best practices. This tutorial is available in Pluralsight and in this tutorial, you will learn how to create a local repository, how to commit files, how to push changes to a remote repository, how to fix errors in your commits, and many other features of Git. You will also understand the difference between copy, staging area etc,.